Matchmaker lists top first-date restaurants in Montreal for casual dining, fine dining, kosher dining, elegant dining, romantic dinners, vegetarian dining and more. 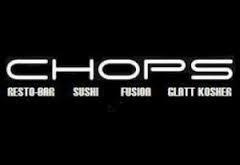 Chops, Montreal's best and only Kosher steakhouse and sushi bar presents Asian fusion with style. 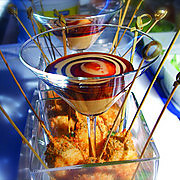 Their menu and presentation are brimming with creativity. Reservations are a must in this rather small dining room. Take advantage of the snug quarters for an evening of intimate tete-a-tete.